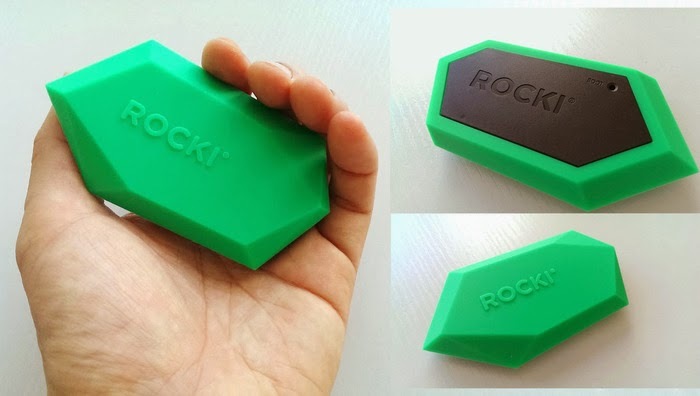 Next up is a device that I didn't know I needed until spending time with it at CES and this a small device that turns most any stereo system into wireless supported music streaming device and goes by the name of Rocki. This petite audiophile's companion is exactly what is missing from those dated hifi systems that we can't bring ourselves to get rid of. Included in the package is the colorful rubber wrapped Rocki, micro USB cable, and inputs (both 3.5mm and RCA) for devices that have and audio in. Now that it is linked with my Wi-Fi network, let's see how that old stereo sounds when transmitting my phone's playlist to it and not having to do through my archive of Compact Disks. It took a while for me to figure out how to sync it up as I use an iOS devices to stream from but after reading the instructions I had the little guy figured out. Once the initial frustration of syncing was completed, it was easy and fast to connect and that boom box that is a decade old or your home theater that was top of the line before the days of when Bluetooth was just starting to take off is now playing your media and controlling volume and tracks. On top of modernizing that "antique", multiple people can connect and play the house DJ at get togethers. As a big car stereo person that hates how long it is taking to get USB inputs in vehicles with stock stereos but the Rocki makes use of the 3.5mm input and allows for an interesting road trip as long as the passengers share the same taste in music. 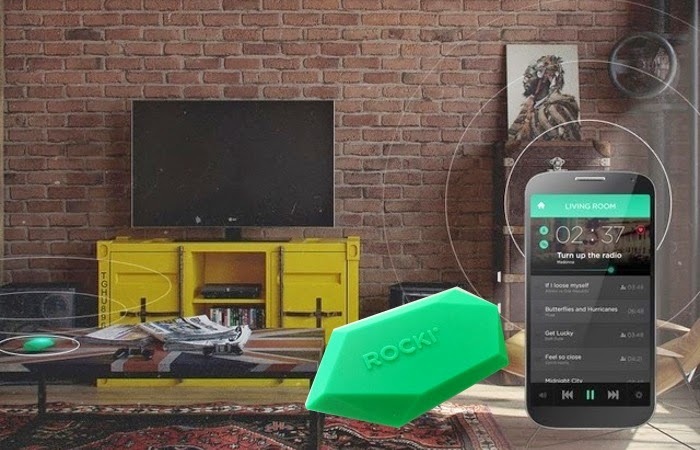 Rocki is a great device for anyone that is not yet ready to pick up a new portable speaker or update their home stereo to have wireless connectivity as there wasn't a noticeable loss in sound quality and is a great reason to dust of the old receivers, stereos, and boom boxes. The small dongle also holds a charge for around eight hour so it does not require constant charge, but you may have to restock C or D cell batteries. 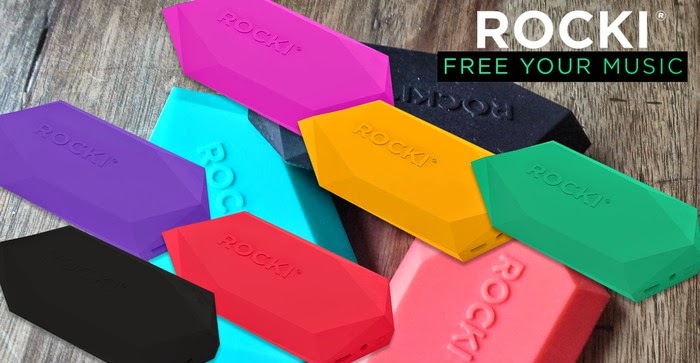 Rocki is available now at MyRocki.com for the price of $49.99 in a variety of seven colors.